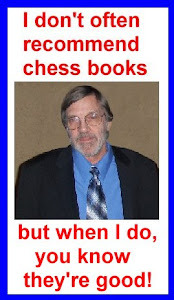 Reader “Kirk” has asked which book is better, Kmoch’s Pawn Power in Chess or Soltis’ Pawn Structure Chess? The question prompted me to pull down my Soltis book and take another look at it. I may be prejudiced. I like Andy Soltis. I met him at an international tournament back in 1975 and found him to be friendly and, well, just plain down to earth and likeable. It seems a lot of reviewers like to nitpick Soltis’ stuff. I’ve heard it said he just writes for the club and tournament player. I can’t understand the complaint…that’s what most players are. Maybe it’s his style…he writes in a way that makes you feel like you are at the chess club analyzing with helpful master who is willing to share his knowledge. My experience is that’s a rarity right there. So maybe they think that with his light, breezy style he has nothing important to say? I don’t know. These days when my copy of Chess Life arrives it usually gets a quick read and then goes in the trash. However, the first thing I always do is go to Soltis’ column, Chess To Enjoy and actually read it. As for the book: The first version, written in DN, came out in 1976 but I have the newer version in algebraic. Apparently both are the same except it has some more recent games. 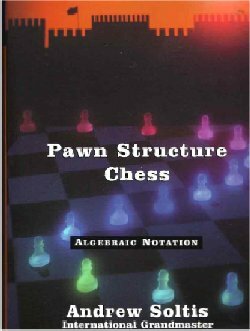 The book concentrates on middle game planning based on different types of pawn structure's that arise depending on the opening. Personally I think Soltis’ book is much superior because it gives many more examples of what you are likely to meet in modern play. Also, Soltis points out exceptions…those situations where planning based on pawn structure doesn’t work. 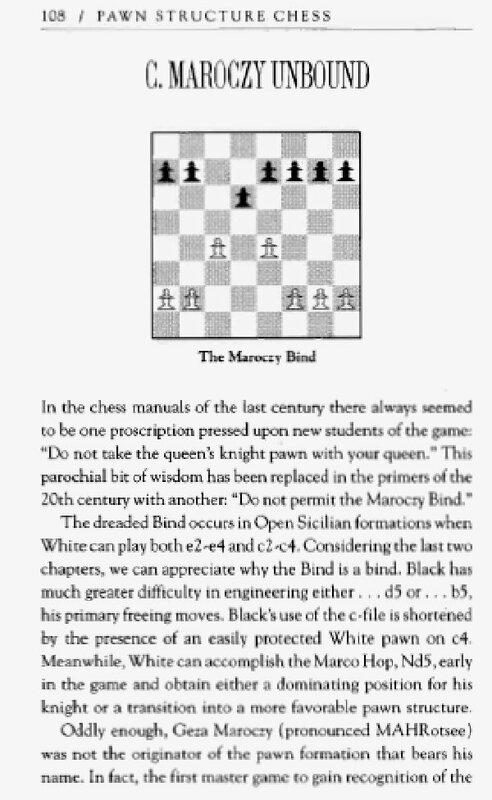 Soltis describes the pawn breaks in different opening pawn structures and (this is very important) he shows how piece placement can alter ‘normal’ procedures. Soltis shows you a way of viewing the openings that gives some insight into how masters utilize positional play. Sometimes when playing through well annotated games by really strong players you will come across positions which they consider won long before their weaker opponent even knows he is lost. It appears to you and me that the game is about equal when we consider things like space, development and material but the GM points out some seemingly minor nuance like insufficient control of a key square that prevents his opponent from obtaining counterplay in the form of a pawn break; as a result his opponent is strategically lost. This is an example of some of the things about positional play Soltis calls the reader’s attention to. In my opinion, Soltis’ book is definitely preferable. I studied this book a few years ago and after a few initial disasters when I was learning to apply what I learned, things finally clicked. I credit this book with adding about 100 points to my rating. Thank you for writing this review. I like Soltis too. My first book of his that I read was called "Karl Marx Plays Chess". A wonderful read with a lot of chess stories that I did not know about. He must had fun writing that book. I need to read it again sometime. After reading this book i think i have a much better overall understanding of whats going on when i play over games and i think it also helped me play at a higher level.